Free Disk Cleanup – how to do it? Over time computer users download, copy, save multiple versions of files and often forget them in some hidden corner of the disk drive. Even though the storage sizes have grown quite large lately and a terabyte of disk space is something common, the size of the media files has grown proportionally too. This puts the situation back in the starting point where disk space is never enough. In the busy world today it is difficult to keep an organized computer or laptop and even the most pedantic individuals sometimes fail to keep track of all the data. Luckily there are plenty of options to solve these issues. Using the built in Windows disk cleanup tools will not solve the issue completely, but is a good starting point for this task. Getting rid of the temporary files scattered in multiple locations can sometime restore gigabytes of disk space. Click Start, and then click Run. In the Open box, type cleanmgr, and then click OK.
Click Start, point to All Programs, point to Accessories, point to System Tools, and then click Disk Cleanup. The tool will delete temporary files, clean your recycle bin and also remove old downloads. The next important task in the disk cleanup process is to remove duplicate files. Again such feature is not available in Windows, but there are plenty of duplicate file finders that you can choose from. Users should be careful when choosing the ones that suits their needs though, as some of these tools may look at file names or file sizes and present incorrect results. The file name is not important when the word comes to duplicate files, as the file content is important in such case. 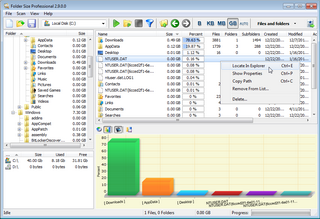 A good tool should perform a real byte-to-byte file analysis in order to identify duplicates. The free Duplicate File Finder tool from MindGems provides accurate and reliable results combined with a fast performance. Fast Duplicate File Finder has plenty of options and scan methods and can identify also files with similar content (different revisions of a file) and files with similar names (MyCv1.doc, MyCv2012.doc, Cv2013.doc etc.). Performing the above steps on a regular basis will help in keeping an organized computer system with a minimum of redundant data. Desktop OS: Window 8 / Widnows 7 / Windows Vista/Windows XP / Windows 98 including x86 and x64 32 bit and 64 bit operating systems. This entry was posted in Information and tagged Celanup Disk Space, Cleanup Computer, Cleanup Computer Free, Cleanup Disk, Cleanup Drive, Computer Cleanup, Computer Cleanup Free, Disk Cleanup, Disk Cleanup For Windows, Disk Cleanup In Windows, Disk Cleanup Windows, Disk Clear, Disk Sapce Organize, Disk Space Cleanup, Drive Cleaner, Drive Clenaup, EBS 2008, File Cleanup, Folder Cleanup, Free Cleanup For Computer, Free Computer Cleanup, Free Space Cleanup, Free Up Disk Space, Hard Disk Cleanup, Home Server, Home Server 2011, Hpc Server 2008, Multipoint Server, Organize Disk Space, Server 2008, Server 2008 R2, Server 2012, Sikd Cleaner, Small Business Server, Widnows 7, Window 8, Windows 98 Including X86 And X64 32 Bit And 64 Bit Operating Systems, Windows Disk Cleanup, Windows Server 2003, Windows Vista/Windows Xp on January 31, 2013 by MindGems Support.